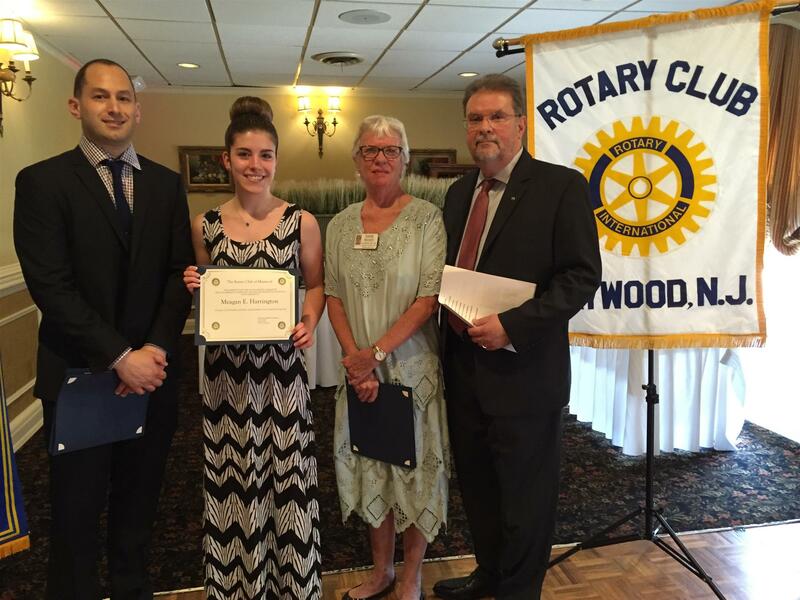 Congratulations to the Maywood Rotary and Dr. Mark Mady Scholarship Recipients! 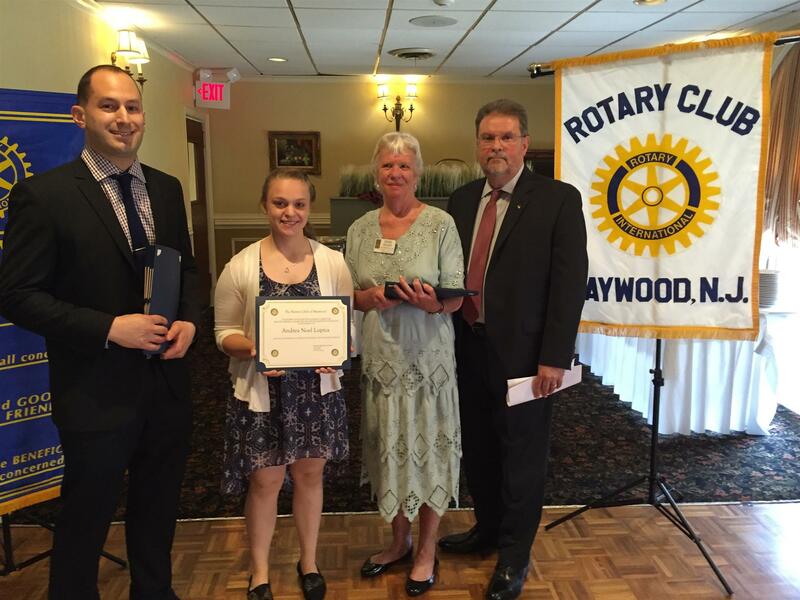 Congratulations to the Maywood Rotary,James and Pauline Hackbarth and Dr. Mark Mady Scholarship Recipients! 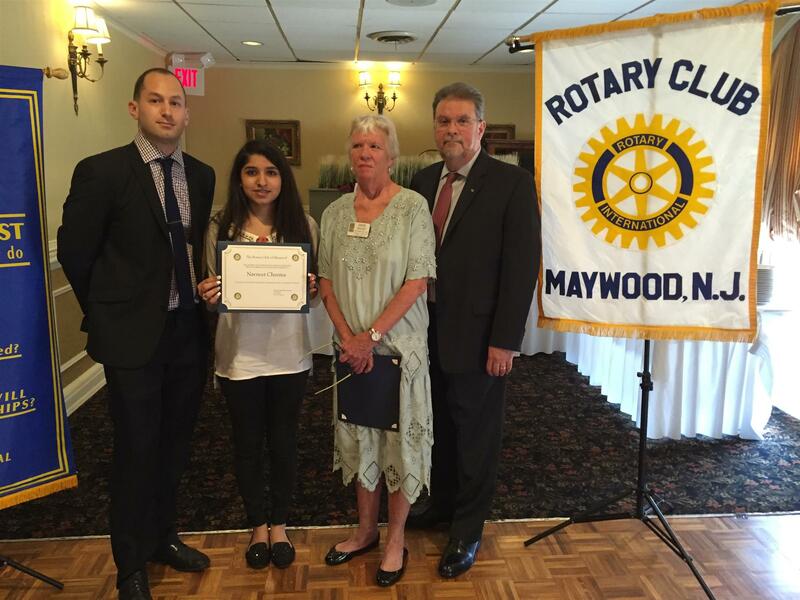 On Tuesday evening the Maywood Rotary awarded it's annual scholarships to talented High School Seniors. We wish the following students good luck in their academic futures! 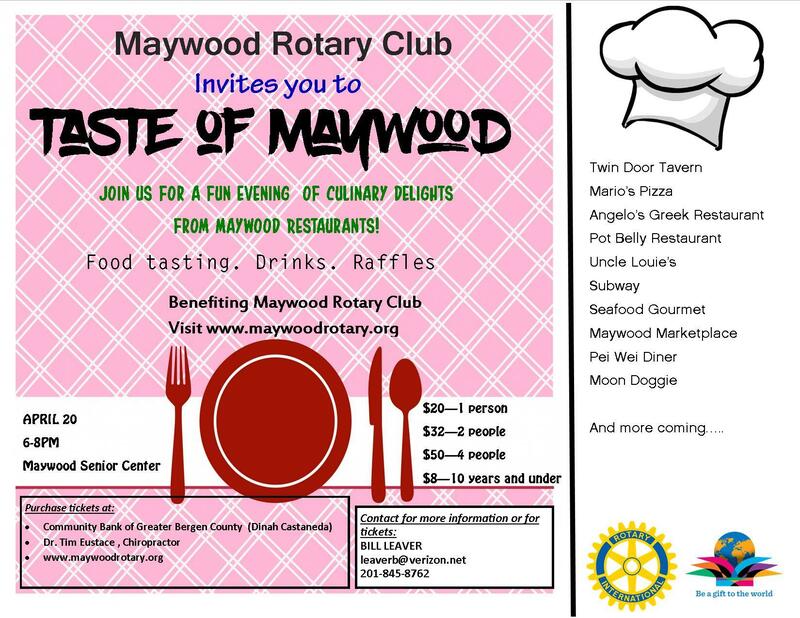 Maywood Rotary presents its 2nd Annual Taste of Maywood Event! 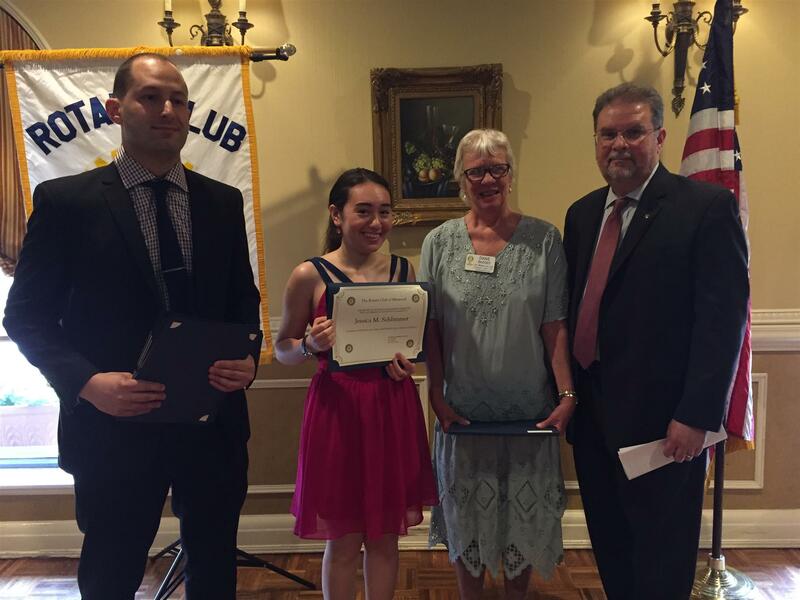 On June 30th a new member was inducted at our evening dinner meeting at the Maywood Inn along with the new officers for the year 2016-2017. 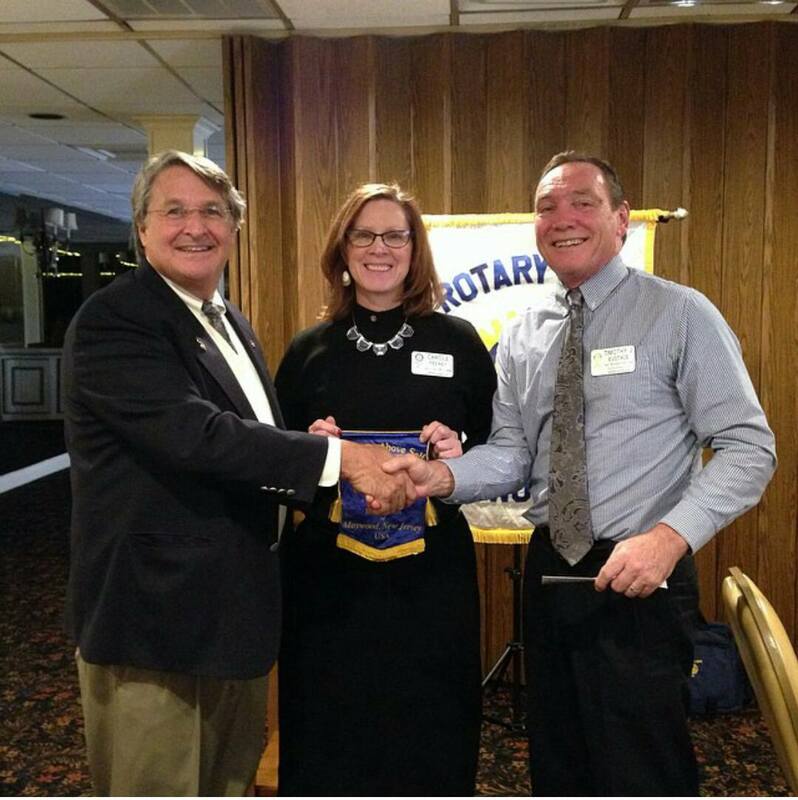 The new member inducted by Past District Governor Bill Rupp was Doug Herrick. Past District Governor Bill Rupp also conducted the swearing in of the new officers. The officers for the coming year are Lynne Reck, President; Scott Jeffers, Vice President; Carole Feeney, Secretary; Bill Leaver, Treasurer. 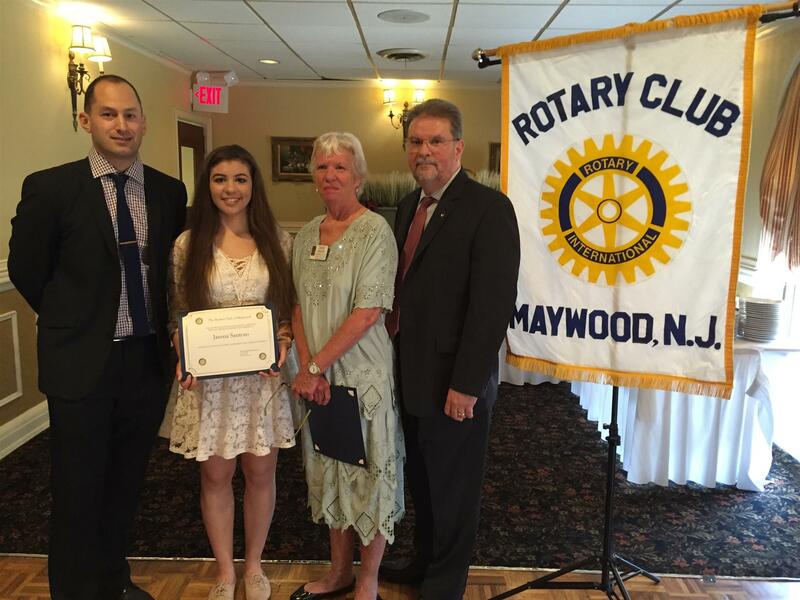 Each of our talented and bright Scholars was selected from a highly competitive pool of applicants by Maywood Rotary Scholarship committee headed by Ed Torres, Diane Rhodes and Dr. John Mady. Our Scholars have demonstrated a strong commitment to giving back and are working to make a difference in their community. 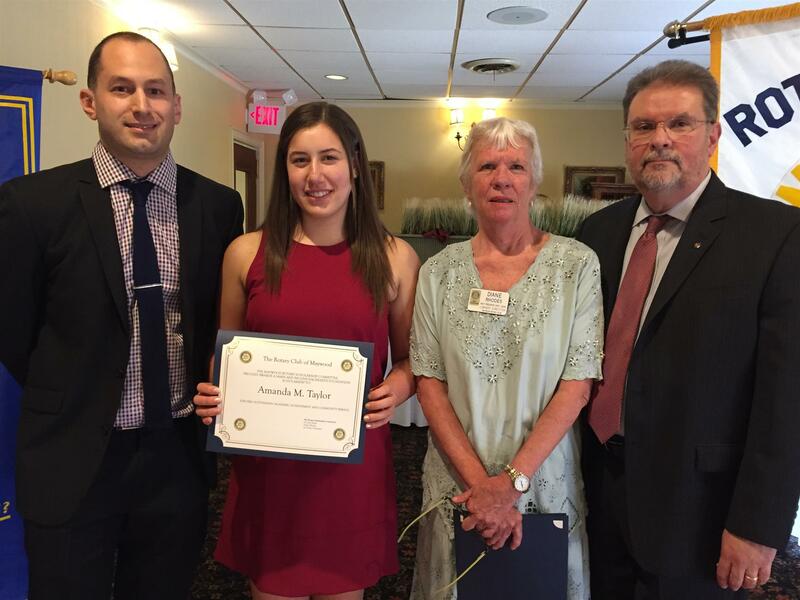 The following students are the recipients of our 2016 scholarship grant: Jessica Schlimmer, Andrea Noel Lupica, Brianna Remache, Amanda Taylor, Meagan Harrington, Theresa Gallagher, Navneet Cheema, Laura A. Iobst, Janina Santoro, Heidi Ahmed and Nada El-Gazzar. 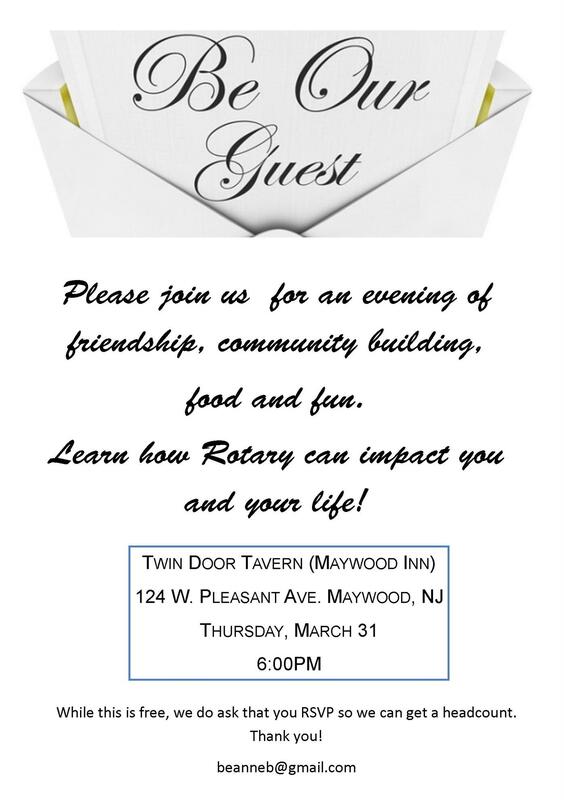 We wish you all the best and come back to Maywood Rotary so you can share your success stories with us! First Taste of Maywood is a Success! 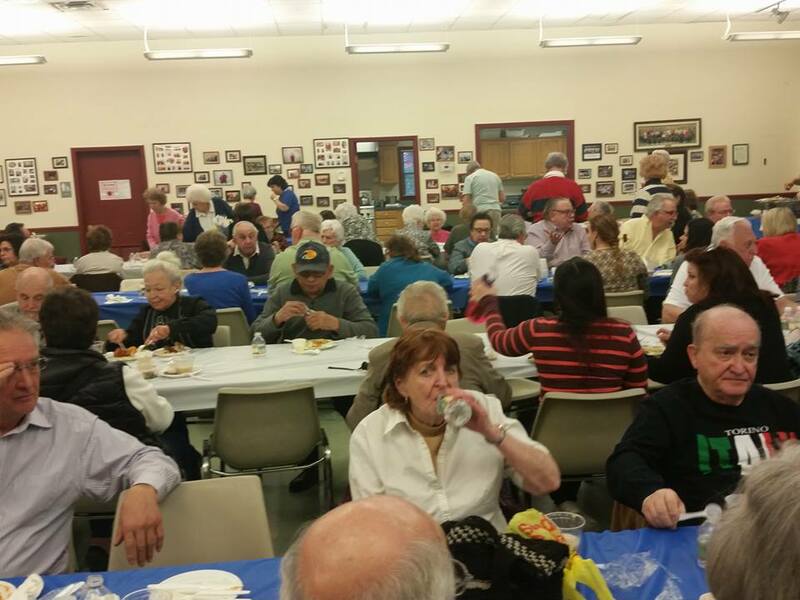 Over 100 people attended the first ever Taste of Maywood hosted by Maywood Rotary Club. A big shout out goes to Mario's Pizza, Twin Door Tavern Inn, Angelo's Greek Restaurant, Pot Belly, Uncle Louie's, Subway, Seafood Gourmet, Moon Doggie, Uncle Paulie's and Pho Thai Lao Kitchen! Thank you to all those who attended. We promise a greater one next year! 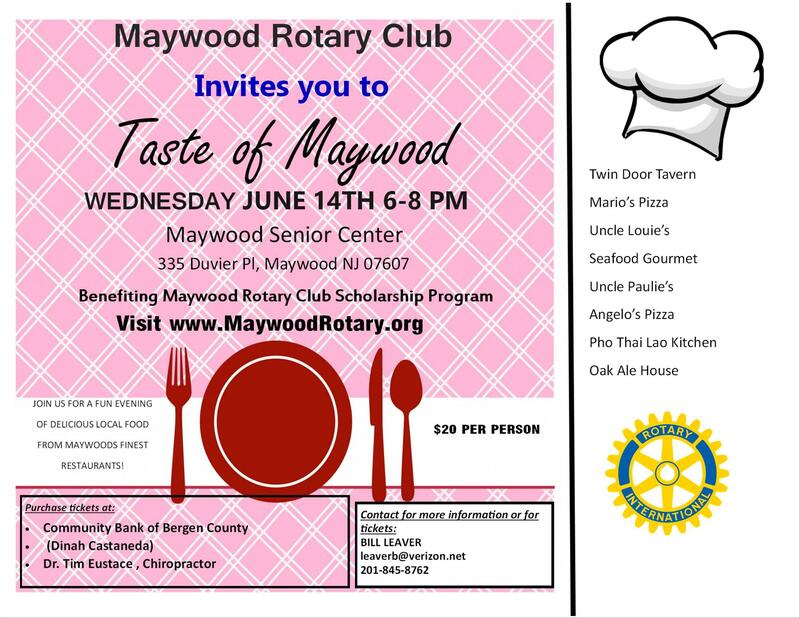 We invite you to come and have a sample of your favorite Maywood restaurants! 3) Or you click this to REGISTER! 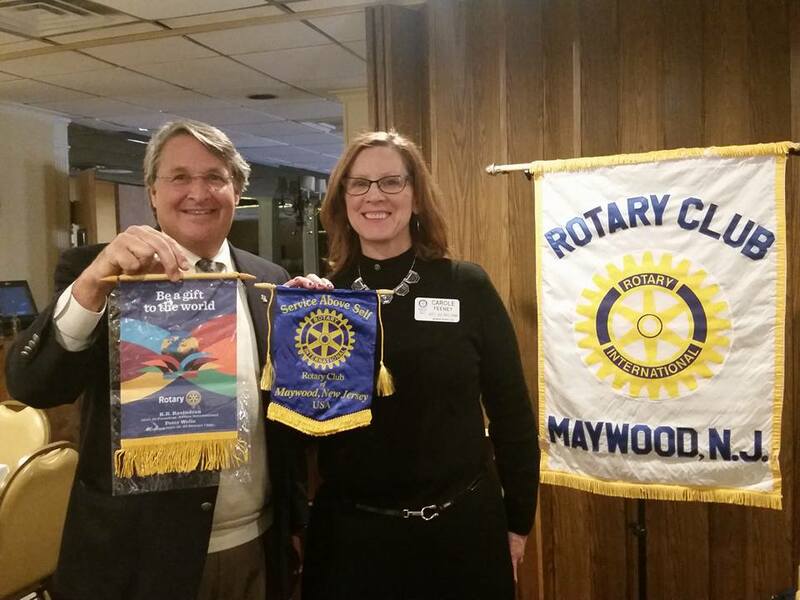 District 7940 Governor Peter Wells visits Maywood Rotary Club on January 7. What a great way to start our first meeting of the year! 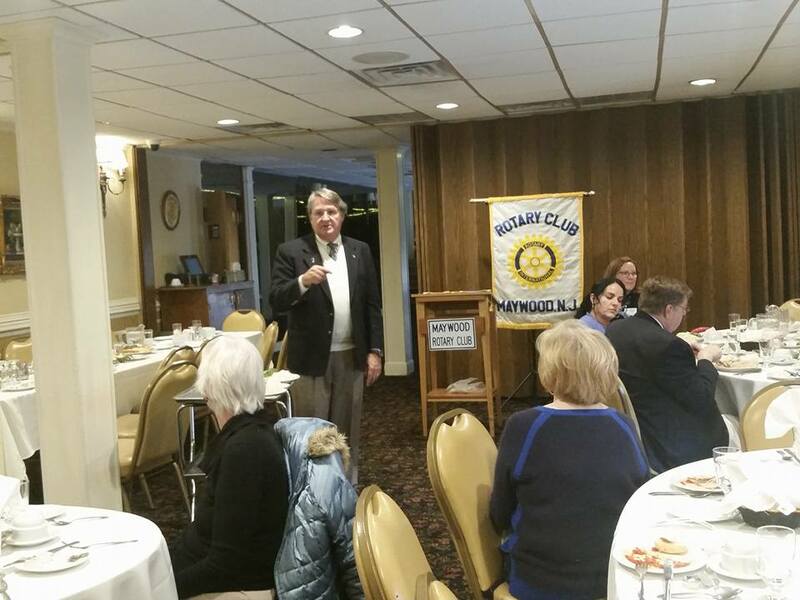 The club members felt energized and inspired after his speech. 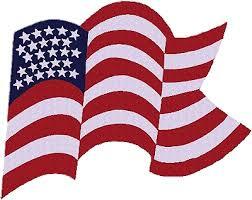 There's no reason why we shouldn't be part of this great organization that is doing good all over the world! 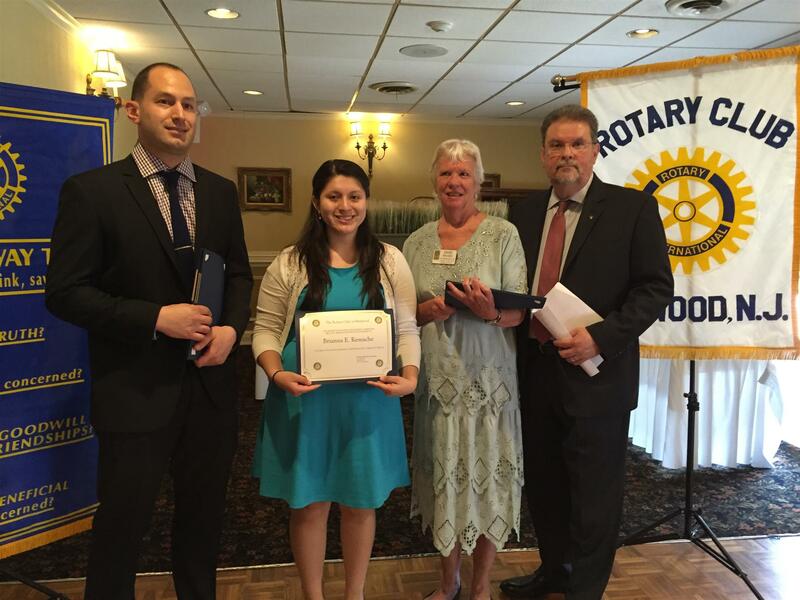 Maywood Rotary Kenya Project 1st College Graduate! 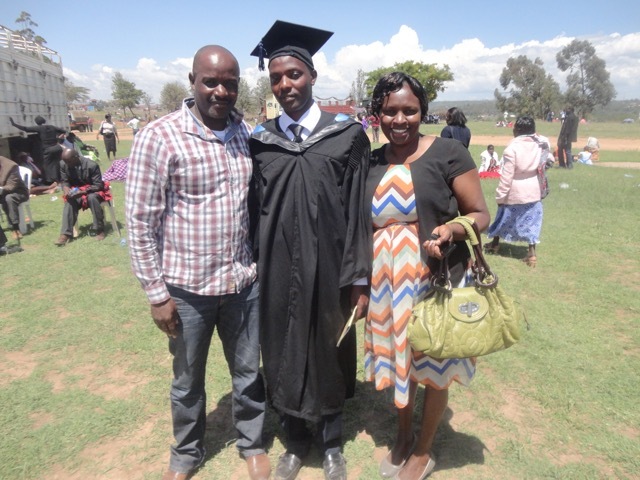 Presenting our first college graduate from Nkineji! When Kevin Williams, founder of the Kenya Project, died suddenly on June 22, the community of Maywood was guilt stricken. But submerged for several days was aburning questions - what happenes to MRC's 12-year old Kenya Project, readying for a final visit in 2016? Within a few more days a firm answer came from state Assemblyman Tim Eustace, Kevin's partner for over 30 years "The project will go on for now," he said. "We hope to keep it going." The next trip will be early in July. Eight people have already indicated they will go. A planned visit by three committee members was rescheduled and carried out. They also met with Rose, sister of Rotary's Mercy Purity, a travel agent who has been very helpful. 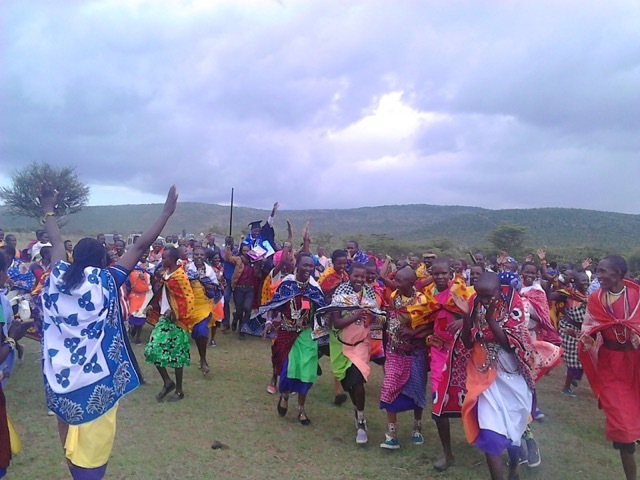 Mercy will continue with the Kenya Project. Tim is hoping for a surge in public response. Rotarians can describe the appeal to friends. Several thousand dollars have been already received in memory of Kevin. The Maywood Rotary Club participated in the Annual National Night Out in Maywood held at Memorial Park on Tuesday, August 4. National Night Out is an event hosted by police departments all over New Jersey to promote crime and drug prevention awareness. According to the National Association of Town Watch & National Night Out website, the night out "enhances the relationship between neighbors and law enforcement while bringing back a true sense of community and provides a great opportunity to bring police and neighbors together under positive circumstances." 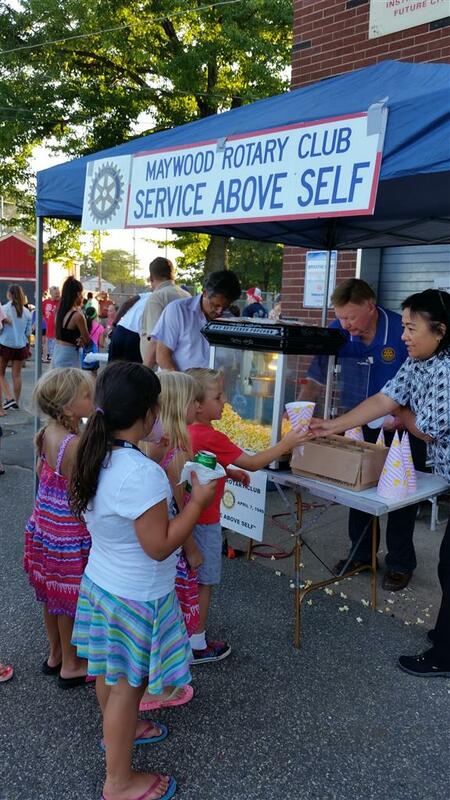 Maywood Rotary distributed free popcorn to all happy Maywoodians who attended this event. District Governor Adele Miller was on hand to present membership certificates and pin the Rotyary International membership pin on eight new members at the Maywood Inn on November 4th. The new members enrolled in the club as a result of attending a "meet & greet" session that included presentation on the mission of Rotary, the local , national and international objectives of Rotary and the obligations of membership. Photo shows Governor Miller pinning Noel Gordon as new members Laura Kolmos, Carol Feeney and Rebecca Taylor look on. Other new members not in the photo are Palma Giordano, Lauren Chinloy and Cassie Hamilton. New member James Mazzer was unable to attend. 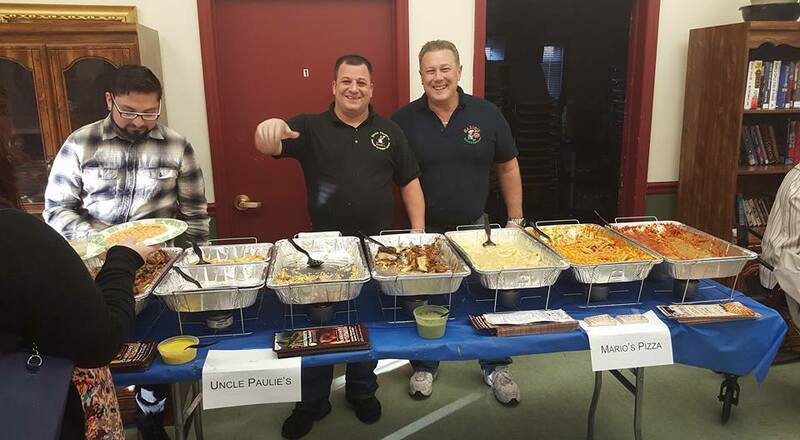 The Maywood Rotary Club volunteers to feed individual men and women who are homeless at the Bergen County Shelter on River Street in Hackensack. 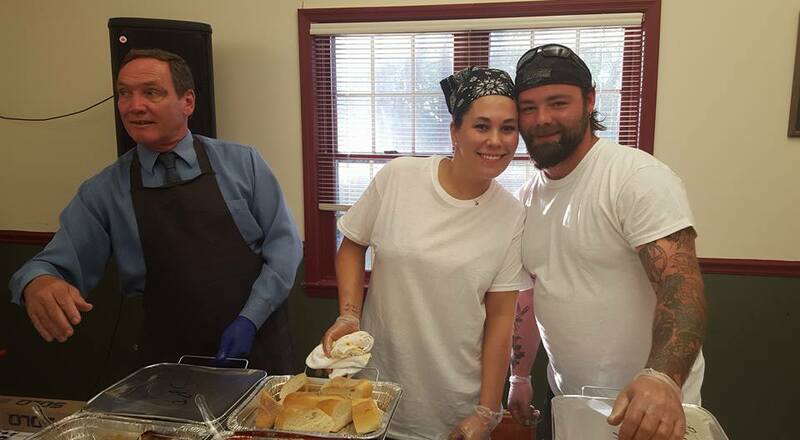 Members cook trays of beef stew at home and bring it to the shelter. 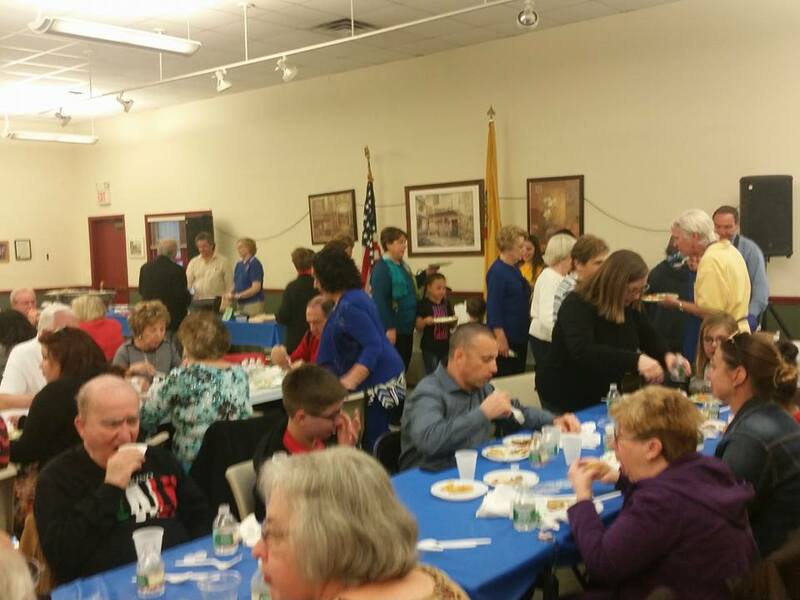 They then served the individuals with stew, bread and butter, apple sauce and mixed fruit cup, coffee, and iced tea. 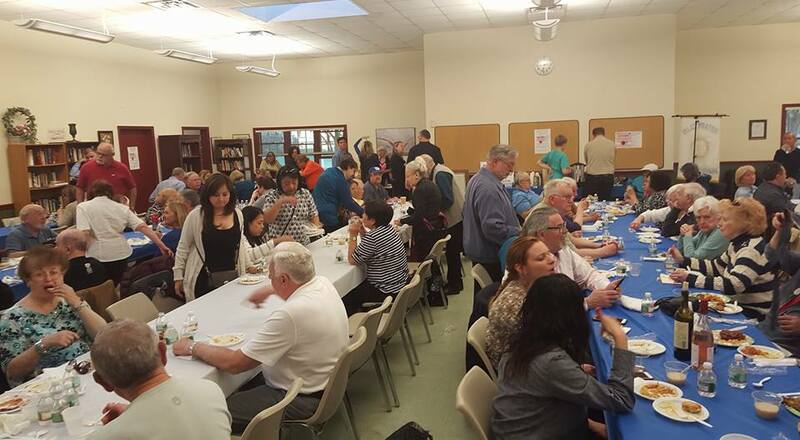 The event hosted 3 times a year is appreciated by about 125 people who come for the meal and is most satisfying to the club members as they exemplify our motto of "Service Above Self". 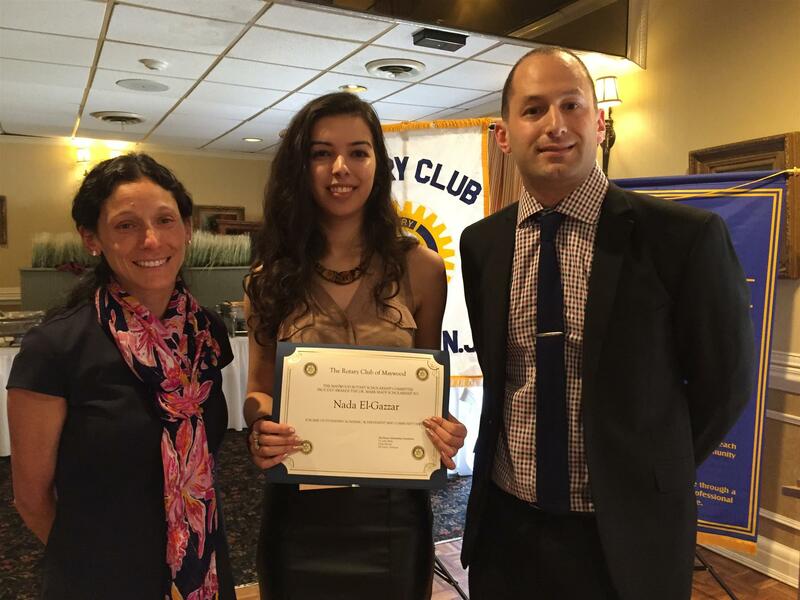 ROTARY YOUTH LEADERSHIP AWARD (RYLA) is an intensive week long training program for teens and young adults, ages 14-30, aimed at developing character and leadership skills. 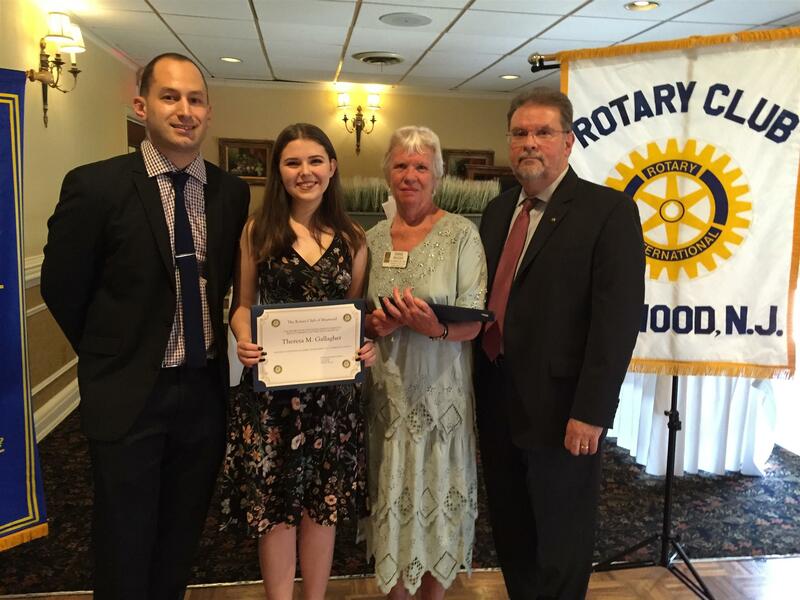 The RYLA Program caters to selected high school juniors, District Rotary Clubs send candidates to the program, which was held at the Indian Head Camp in Honesdale, PA. The curriculum, conducted by Rotarians and experienced college age instructors, includes public speaking, small group activities, social interaction, lectures, inter-mingling during their free time.. RYLA stays flexible by introducing new programs, that included a CPR course this year. As in the past, Maywood sent five candidates, all from Hackensack High School. They are Marie Said, Alexis Holmes, Nikayla Barnaby, Sean Grimsland and David Tram. 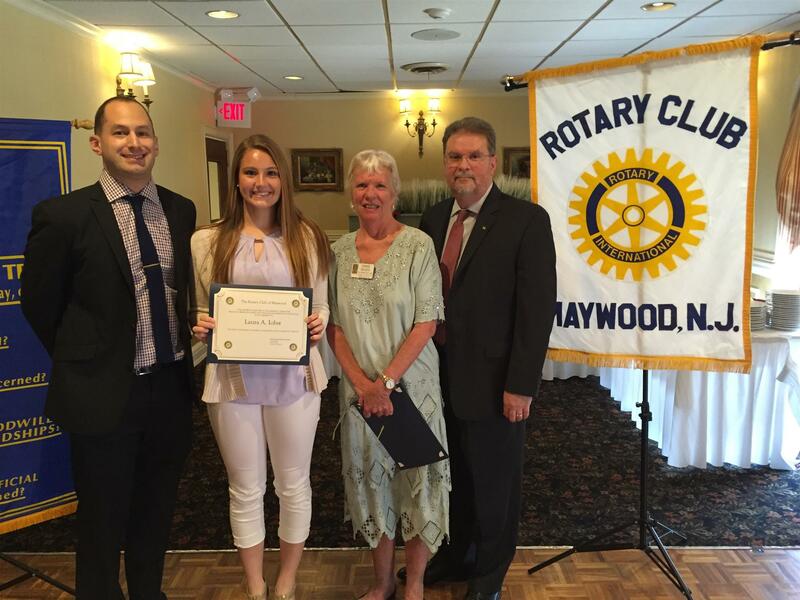 Following their RYLA experience, the group were guests at a Maywood Rotary lunch meeting held in the Maywood Inn where they each described their exciting week at RYLA as a true life-changing experience.